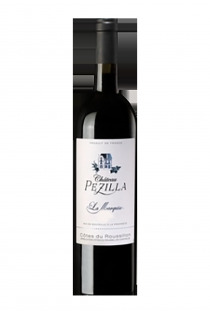 The Château de Pezilla is a rich testimony of the golden age of wine in Roussillon. Today, the beautiful house has become the town hall of Pézilla-la-Rivière. But the winegrowers and winegrowers of Pézilla continue their work, and produce on one of the richest terroirs of Roussillon. The Pézilla vineyard is located on the north bank of the Têt, on hillsides and terraces made of schistous colluviums and rolled pebbles. This terroir benefits from a climate perfectly adapted to the culture of the vine. It allows the elaboration of wines very varied, with character always asserted. Since 2008, the wines of Pézilla are vinified by the cellar Arnaud de Villeneuve. The winery combines the know-how of more than three hundred vintage winemakers and quality facilities. The cellar Arnaud de Villeneuve expresses the heritage of the producers of wines of Roussillon which, from the beginning of the twentieth century, had created cooperative cellars. It now includes the cooperative cellars of Salses, Rivesaltes and Pézilla-la-Rivière. This broad association allows the Arnaud de Villeneuve cellar to manage an extensive vineyard spread over a mosaic of terroirs. The winery Arnaud de Villeneuve has not chosen its name at random! Historical figure, Arnaud de Villeneuve lived in the thirteenth century. A physician, philosopher and linguist, Arnaud de Villeneuve participates in the development of the distillation of wine in alcohol and praises the "marriage of wine liqueur with its brandy". This action is none other than the mutation, by which one obtains the famous natural sweet wines. The appellation Château de Pézilla includes various wines: Côtes du Roussillon, Côtes Catalanes, Muscat de Rivesaltes and Muscat de Noël.